The federal government considers the Muslim group founded by Ground Zero Mosque leader Feisal Abdul Rauf to be a tax-exempt church. But federal records show the group obtained that status by claiming to hold prayer services for up to 500 people in a Manhattan apartment building that has no space to hold that many people. The application for tax exempt status from the American Sufi Muslim Association (ASMA) in 1998 claimed the group had an established place of worship at 201 W. 85th St. in New York. That is a 17-floor apartment building. The 1998 tax filing, called a 1023 form, is required for any institution that wants to be considered a religious house of worship and therefore exempt from taxation. In the filing, Rauf is identified as ASMA's founder. The application said the group was already operating as a prayer center for between 450 and 500 daily worshipers. 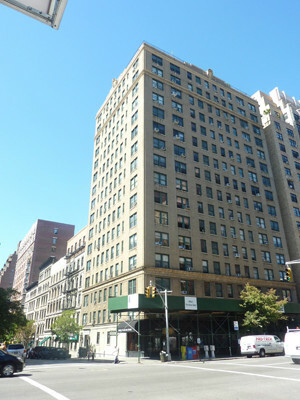 ASMA claimed to hold prayer services in this Manhattan apartment building, which has no space for group activity. However, a review of the building and real estate records indicates there is nowhere in the building to house that many congregants. ASMA lists its office address as 201 W. 85th St., Apt. 10E on the tax form, while it cites only the building address as its location for prayer services. The building has apartments only and no public spaces, such as a conference or a board room, to accommodate 450 people. Apartment 10E, building records show, is a one-bedroom apartment with about 800 square feet of living space. In the 1997 incorporation records filed with the state of New York, Rauf's wife, Daisy Khan, was named as an ASMA director living at that address. But when ASMA filed for its church status with the IRS, Khan was no longer listed as a director. Instead, Rauf signed the form that said ASMA's address was the same as Khan's apartment – 201 W. 85th St., Apt. 10E. "I have received your enquiry, and notice that it includes inaccurate and outdated information. Unfortunately, as I'm sure you can appreciate, we are extremely busy right now and will not be able to provide you with answers by the time of your deadline. I look forward to communicating with you in the future, so that all the facts can be known." Khan did not respond to a subsequent telephone call seeking details of what she thought was inaccurate. Since ASMA's creation in 1997, its organizers have listed three separate addresses in their filings with state and local governments, records show. When Rauf and Khan first filed their incorporation papers with the state of New York in July 1997, the group was called the American Sufi Muslim Association (ASMA). Its address was 227 78th St., North Bergen, N.J. That was Rauf's home. A year later, when ASMA filed for tax-exempt religious status from the IRS, it cited the 201 W. 85th St. address in New York. Khan, however, was no longer listed as an ASMA director in the 1998 IRS filing. Eight years later, when the group filed records with New York State to formally change its name to the American Society for Muslim Advancement, it listed the North Bergen, N.J., address. Finally, a Feb. 2, 2008, filing with New York State lists ASMA's address as 475 Riverside Dr. in New York. That's an office building called the Interchurch Center, which is home to many religious groups. "ASMA intends to continue its present activities, as well as to expand its services by establishing a permanent large scale prayer center in New York City," the group reported in its 1998 filing for tax-exempt status. "The center will include a mosque (prayer place) where every Friday and daily large congregation prayers and meditation centers will be held." ASMA records don't indicate that the center was ever built. The group's corporate filings and website only show the 475 Riverside Dr. address. Instead of leading prayers at a building controlled by ASMA, Rauf was the imam at the al-Farah mosque in lower Manhattan, about 10 blocks from the site of the proposed mosque and community center. In an interview posted on the ASMA web site, Rauf said he started preaching at al-Farah in 1983. A search of ASMA's web site shows that Rauf and other group officials led no prayers at any ASMA offices or prayer centers. Instead, any prayer groups were conducted at other mosques in New York or out of town. ASMA also told the IRS in 1998 that it had a school "for the religious instruction of the young." There are no records on the ASMA site of it operating a school. ASMA now enjoys tax-exempt church status because the IRS accepted its 1998 application. As a church and not a nonprofit foundation, ASMA pays no taxes and files no public disclosure of its expenses and activities, including the salaries it pays to Rauf and Khan. That has made determining the sources of its funding and where it spends its money more difficult. The lack of any financial disclosure is also an issue in the Ground Zero Mosque debate. Rauf, Khan and building developer Sherif el-Gamal say they hope to raise $100 million to build the center. So far, however, Khan has said the group has no money. El-Gamal has also said the group plans to create a foundation to handle whatever funds it raises. As we reported last week, tax records for Rauf and Khan's other non-profit, the Cordoba Initiative, do not list contributions from at least two charitable foundations that have supported its activities. Nearly $100,000 donors gave since 2007 have not been reported as revenue by Cordoba. The 1023 is a significant form because the IRS relies on it to decide whether to grant an organization recognition of tax-exempt status, said Bruce Hopkins, a senior partner at the law firm Polsinelli Shughart. Hopkins has written several books on non-profit tax law, including The Law of Tax-Exempt Organizations. Under the federal tax law, houses of worship all fit under the category of "churches" regardless of the religion practiced. There is no strict IRS definition for what constitutes a church. For years, a 14-point set of criteria has served as a guide. Courts, however, have set the bar at the presence of a congregation, worship services and a structure in which to hold those services, Hopkins said. The most recent case was decided Aug. 16 by the U.S. Court of Appeals for the Federal Circuit. It was a "huge development," Hopkins said, because the court tried "to understand in the modern world what it means to be a church." In that ruling, the court stripped a group operating in California and Oregon called the Foundation of Human Understanding of its church status. When it received church status, it had its own building and held four to five services each week. "With respect to the Foundation's in-person services, the record shows that during the three-year audit period at issue the Foundation did not hold regular services at any location, including its facility at the Tall Timber Ranch in Selma, Oregon." Hopkins reviewed ASMA documents provided by the IPT and looked through its current website. "It says nothing in here about being a church," he said. Yet, ASMA's website contains this September 2007 letter from the IRS to Khan acknowledging its updated name and address. "Our records indicate that your organization is also classified as a church under sections 509(a)(1) and 170(b)(1)(i) of the Internal Revenue Code," it said. Although Khan was not listed as an ASMA official in the group's 1998 IRS filing, she had written the IRS on ASMA's behalf in 2007. Should the IRS review ASMA's current status and find it no longer qualifies as a church, it could try to determine when it stopped qualifying and request financial disclosures for as many as the last three years. A recent series of reports in New York newspapers indicates Rauf, Khan and el-Gamal have a variety of financial problems or issues with real estate tenants. An Aug. 29 story in The Record of Bergen County, N.J., reveals how tenants in apartment buildings owned by Rauf have complained about the condition of their buildings. Khan told The Record that Rauf doesn't get paid as an imam and must make his living through real estate investments. ASMA's tax exempt status as a church means that any salary Rauf or Khan earn from that group is private. The New York Post reported Aug. 29 that el-Gamal owes more than $224,000 in back property taxes on the site of the proposed mosque. @art: it's possible but highly unlikely that they consist of different people since islam requires prayer 5 times a day and to think that his devout congregation would fail to fulfill their holy requirements in just too horrible to imagine since they can be judged as apostates and not true believers. so methinks 500 was a lie, cool taqiyya style. Why Is This IPT's Concern? I have all the respect and admiration in the world for the great research that the IPT has done and continues to do on well-documented extremist groups and open terrorist organizations. I have donated money to support the great work and super leadership of the IPT and I have promoted it , and truly respect what it has done. But in this case, I am confused about something. I am looking through the article to see the link to terrorism or to a documented extremist group, and I don't see it here. If there is a link, in my opinion, it should be clearly communicated. What am I missing? Given all the terrorist threats and organizations calling for terrorism in America today, why is Rauf's mosque and its IRS filings are a priority for the IPT? 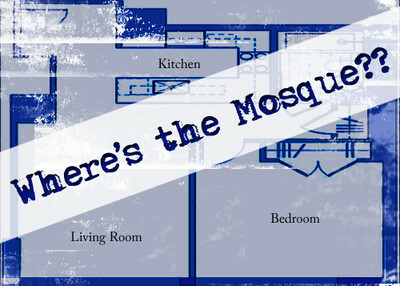 Is IPT going to start investigating the IRS filings for others planning to build a house of worship? I am concerned about the slippery slope here. With all due respect, I think that is a fair question that you should consider. I don't see where IPT is writing about the AMSA "mosque" (non-existent or otherwise) as harboring extremists, promoting hate tracts, calling for terrorism, etc. So I genuinely don't understand why this is part of the IPT mission. There are plenty of well documented extremist organizations promoting violence that are very active that I can share with IPT, if that information is needed, including some coming to NYC next week. Hopfeully the KORTOBA mosqe will rise near ground zero, that will be a reminder of a symbol of hate for Americans to see everyday, hopefully this will wake us up to what these muslim groups' agendas really are. GOD bless America. @Art, who makes the case for 500 total congregants a week being computed on a 25 per day , five times per day basis. But note the application's use of the word "daily"--500 DAILY.